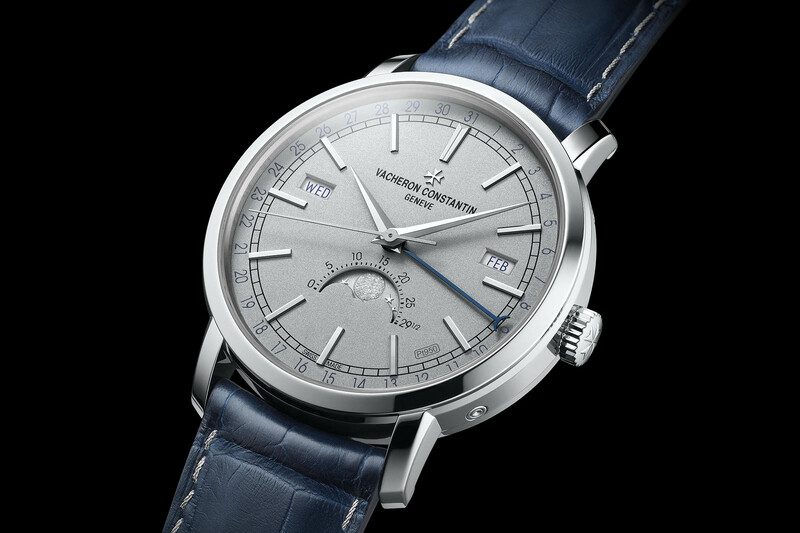 Vacheron Constantin's new generation watch now with casual blue dials. 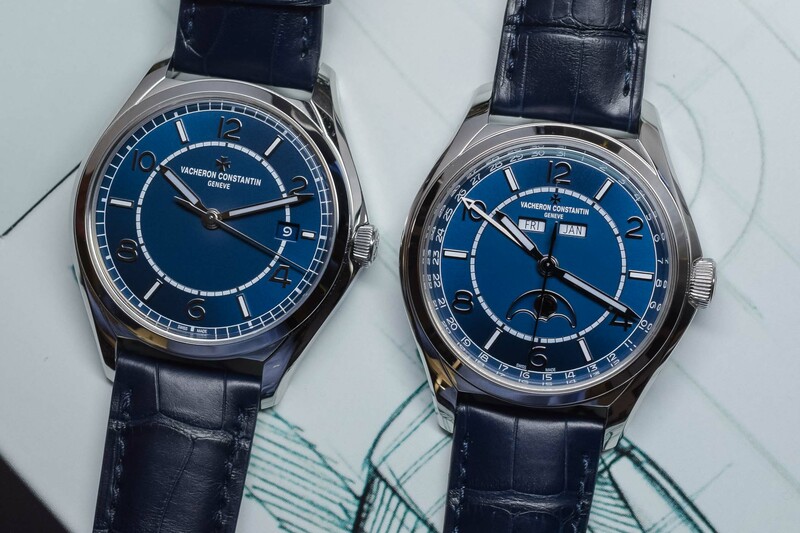 This year, Vacheron Constantin will introduce striking blue dials to its popular FIFTYSIX collection. 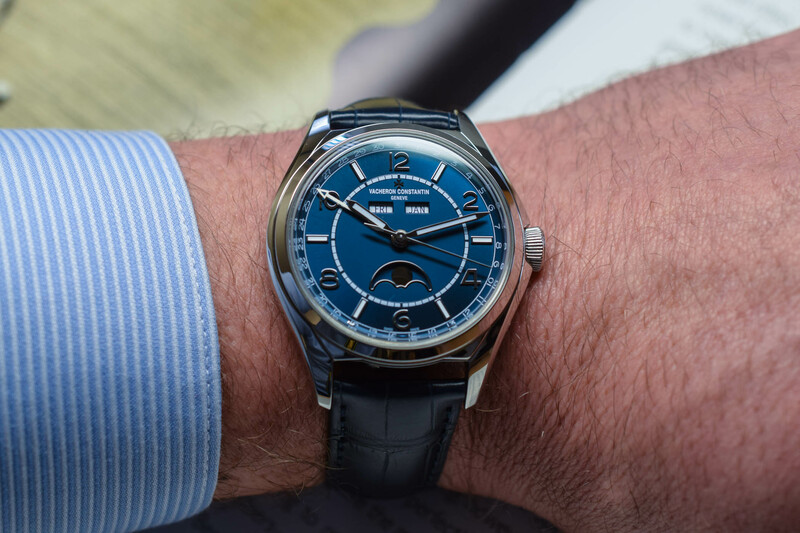 While it may be an obvious iteration for the brand, it is certainly not an unwelcome one, adding another element to Vacheron’s entry-level offering. 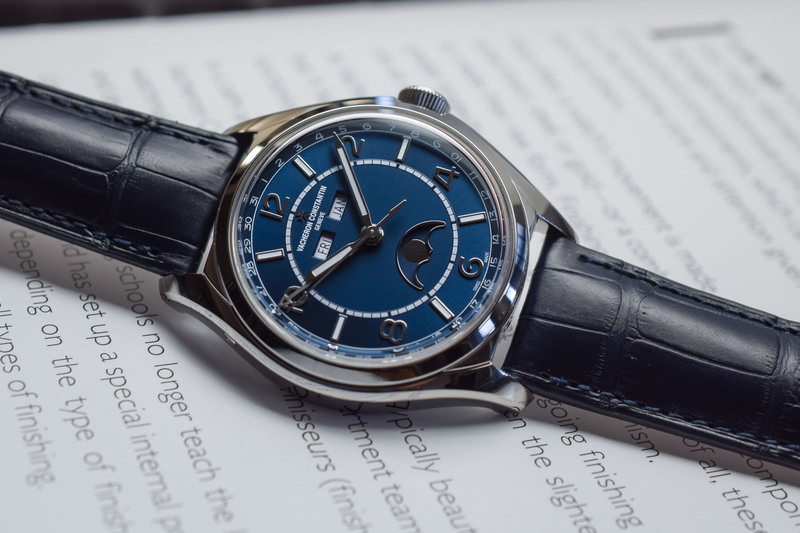 Today, we’re taking a quick look at the new FIFTYSIX Self-Winding and FIFTYSIX Complete Calendar dressed in blue. By way of a quick refresher, Vacheron introduced the FIFTYSIX collection last year at SIHH 2018. Intended very much as an entry-level range designed to attract younger buyers to the brand, it was initially met with mixed reviews. 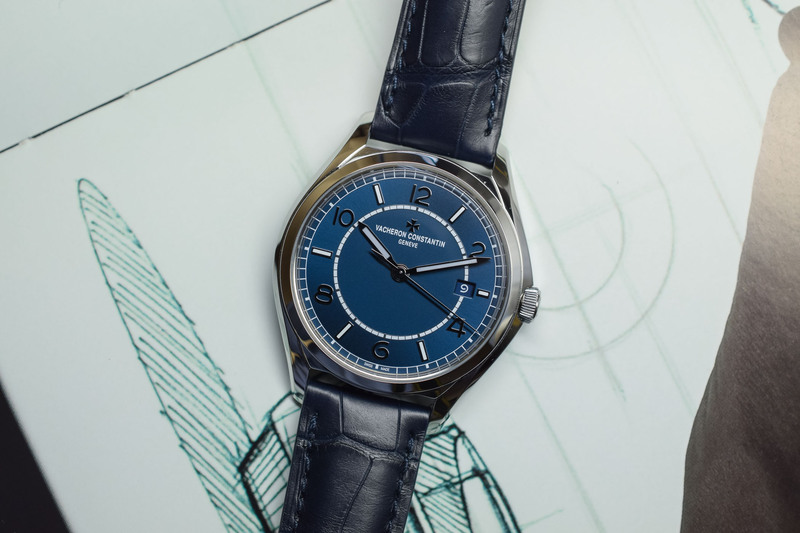 Some – including us here at MONOCHROME – found the idea of an ‘affordable’ (relatively speaking, of course) watch a bit at odds with the brand’s prestigious reputation for Haute Horlogerie. To be fair, this opinion was mainly formed on the basis of the sub-10k Self-Winding model in steel. 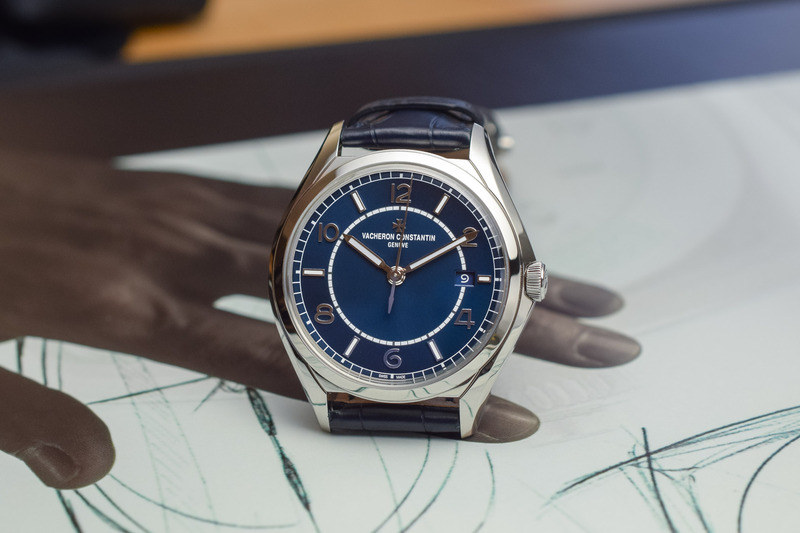 Having had the opportunity to experience some of the models in the collection more intimately over the past 12 months (read our detailed review of the Vacheron Constantin FIFTYSIX Complete Calendar here), we’ve come to realise there is a lot more of Vacheron in the FIFTYSIX collection than initially meets the eye. And that’s a good thing. For 2019, there are no technical changes to either model and nor would we necessarily expect there to be. The cases of both are in steel, and still measure 40mm in diameter. 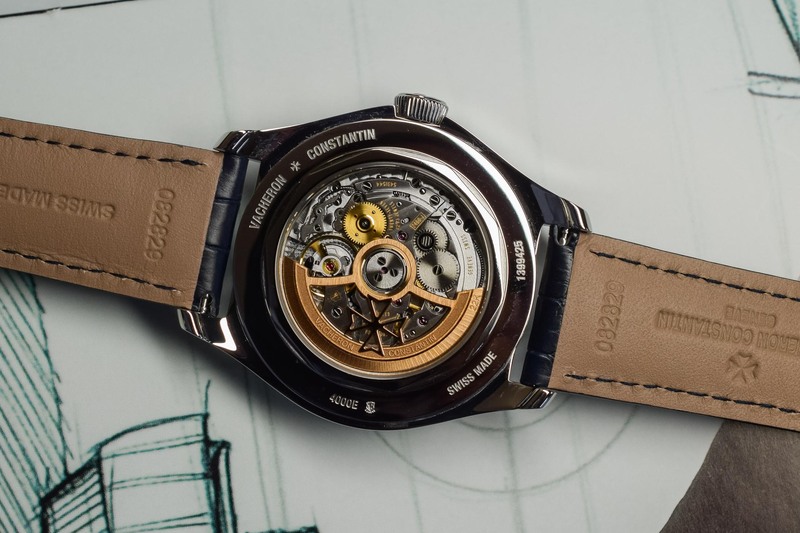 The Self-Winding is a slim 9.6mm, while the more complicated complete calendar comes in at 11.6mm. 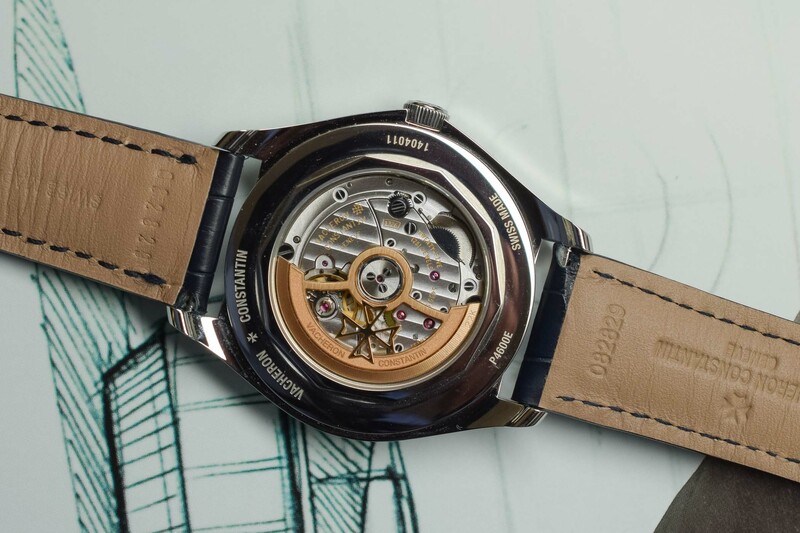 Inside the former is the self-winding, in-house Calibre 1326, endowed with a 48-hour power reserve. 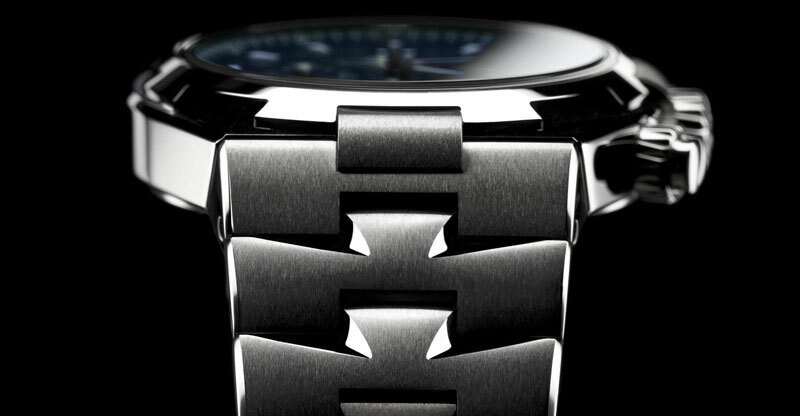 The latter is powered by the well-known calibre 2460, which bears the Hallmark of Geneva. So, the only real update here is the colour of the dial. Specifically, the introduction of a delightful shade of blue – named petrol blue by the brand – that has been specially developed for the FIFTYSIX collection. The dials on both feature an opaline centre with contrasting sunburst exterior and raised applied 18k white gold Arabic numerals and markers, all treated with white luminescent material. 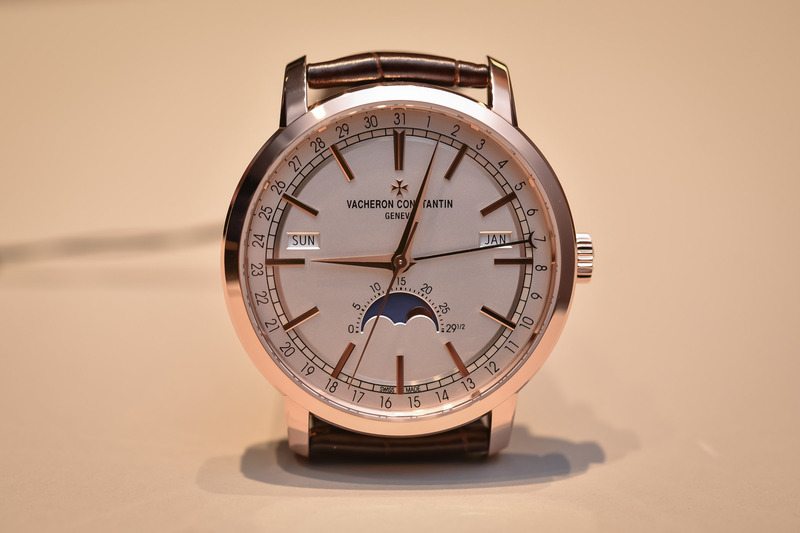 The Complete Calendar version also boasts 18k white gold moons. 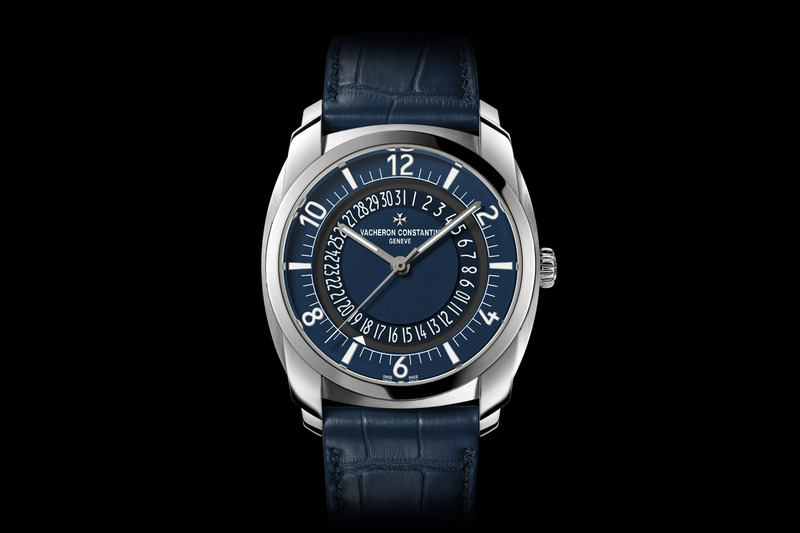 To match the new blue dials, both models are offered on dark blue alligator leather straps with matching stitching. 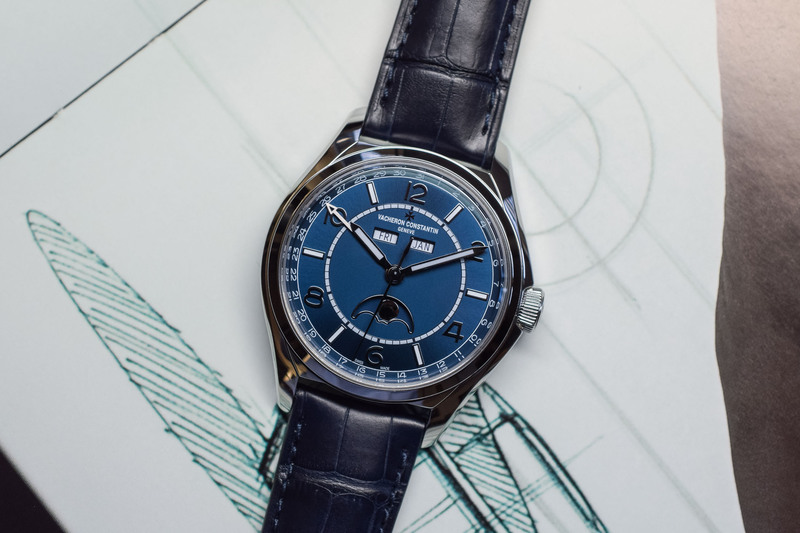 Price for the 3-hand FIFTYSIX Self-Winding in steel will be EUR 11,500, while the Complete Calendar, also in steel, will be EUR 22,400. 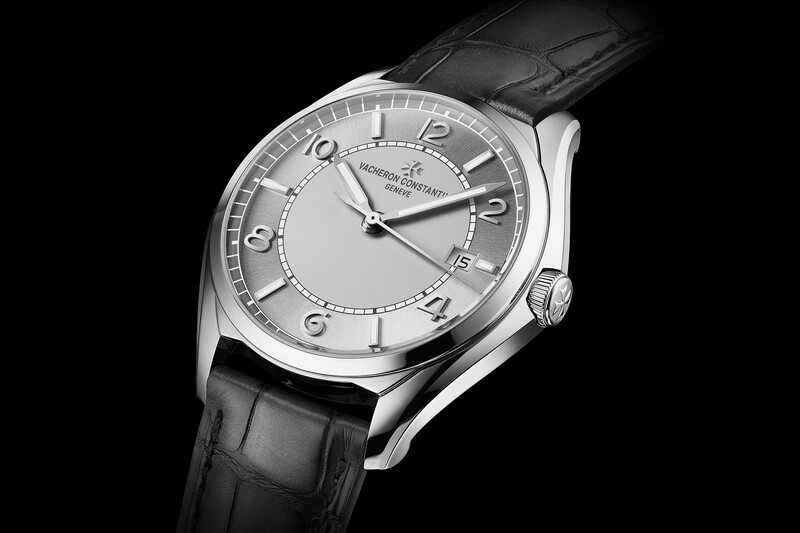 More details at www.vacheron-constantin.com. What a difference an integrated date wheel makes. The automatic is classy and complete. Worth the price? Hhhmmm, probably not. Maybe its just me, but the cache of a VC movement isn’t quite enough to spend this amount of money on a case which is this simply finished. There are loads of bloody good watches out there.